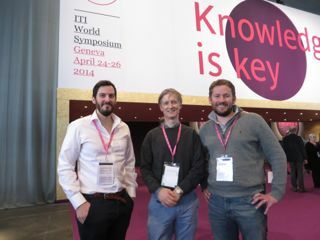 Jonathan, Colin and Tim from The Dental Implant Clinic recently attended the ITI World Implant Symposium. The symposium is held every four years and presents a round up of the major advances in the field of dental implants. Jonathan, Colin and Tim have brought their findings back to The Dental Implant Clinic in order to constantly improve what we can offer our patients.